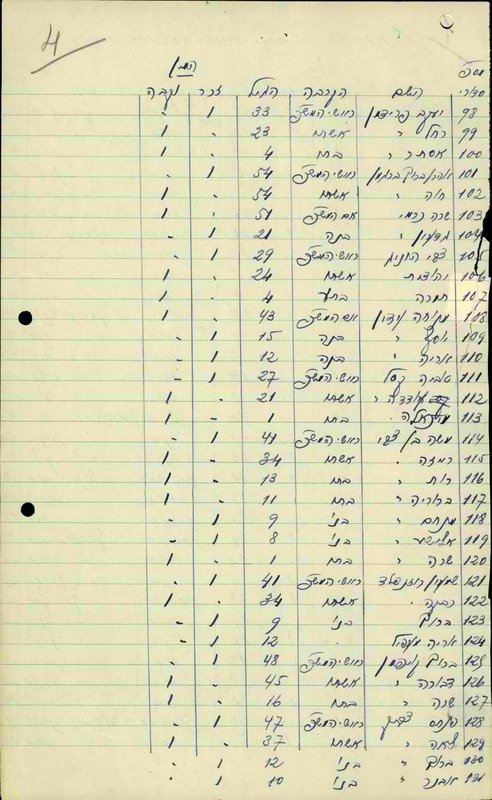 Many thanks to our volunteers: Amos Shiffman, Orna Kir, Yael Ruff Hakim, Esther Ramon and Esther Rechtschafner that transcribed more than 1,400 records. Very soon you will be able to search this database at http://genealogy.org.il/AID/index.phpAnother project completed for IGRA. This folder was found in the Israel State Archives. It has a few lists spanning the period 1941-1947. It is a series of lists for each of the years. 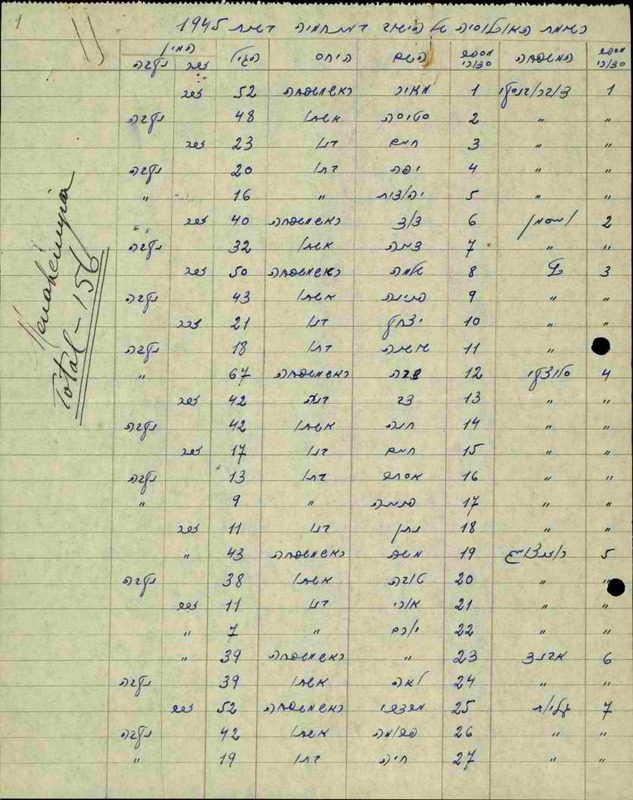 A few folders were found for settlements in the area of the Kineret under the heading of Village Registers. Please type each person on a single line. The fields are gender, age, relationship, family name, given name, title (usually there isn't any), and line number.